This week crews are adding an interesting and beautiful design element to the sidewalks on Main Street. Masons are laying bricks in sections of sidewalk. 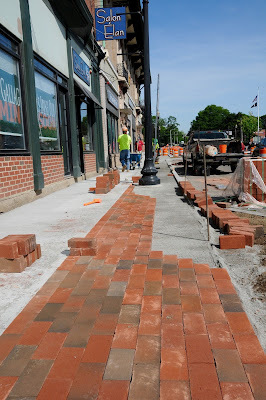 Those sidewalks are open to pedestrians - please come support your downtown businesses! 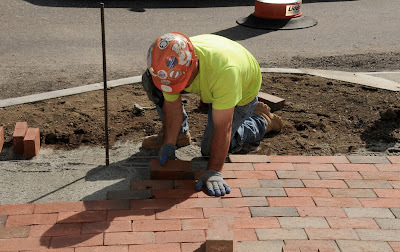 Paving to begin: construction will begin paving the binder course on Main Street (between Emmons St and the bridge) on Thursday night this week. Crews will be working from 8:00 pm to 4:00 am. This area includes a small section of Emmons St., Dean Ave. and Depot St. 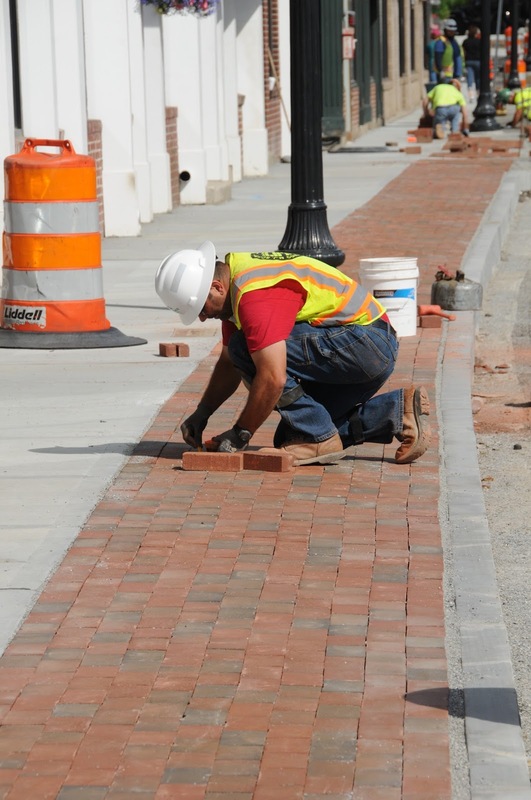 If anyone has a question, please feel free to reach out to the DPW Director, Brutus Cantoreggi or Town Engineer, Michael Maglio at 508-553-5500 or Jeffrey Nutting, Town Administrator at 508-520-4949.